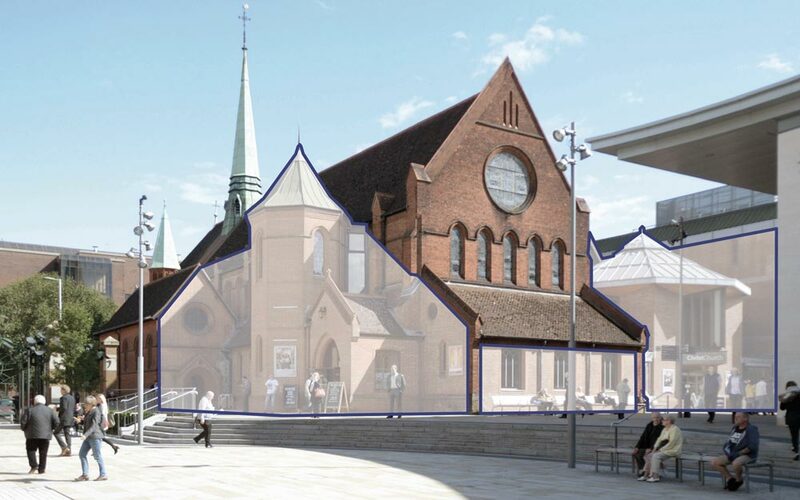 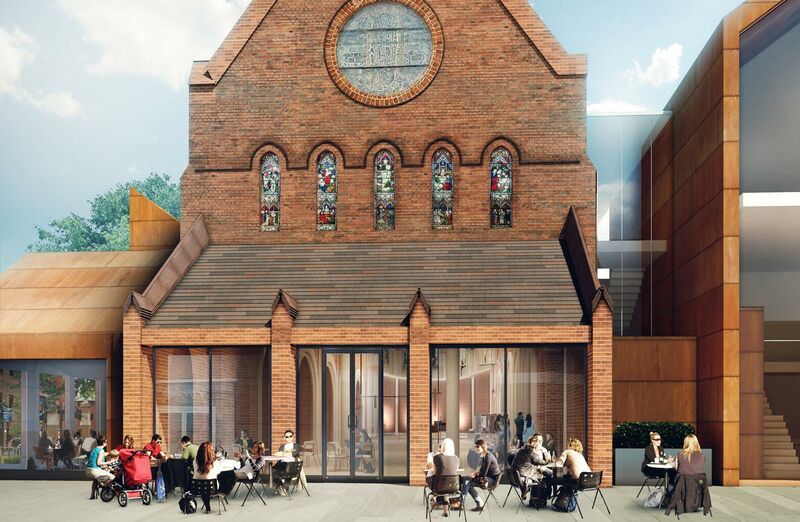 Reconfiguration of a Grade II listed church complex to create a more welcoming and relevant facade in the heart of the fast-developing Woking town centre, by improving civic connections and defining a series of congregational and community uses. 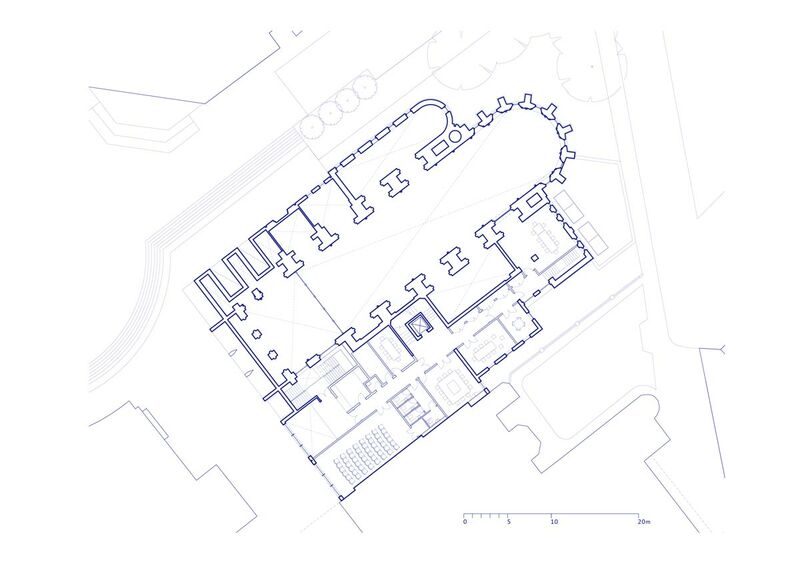 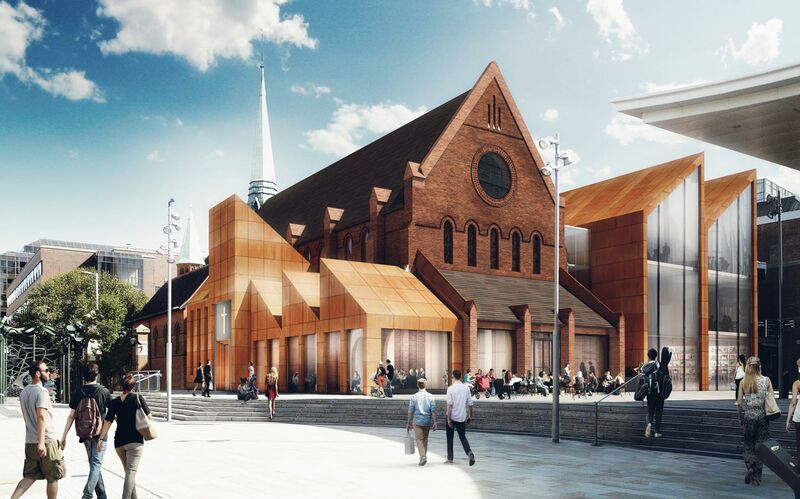 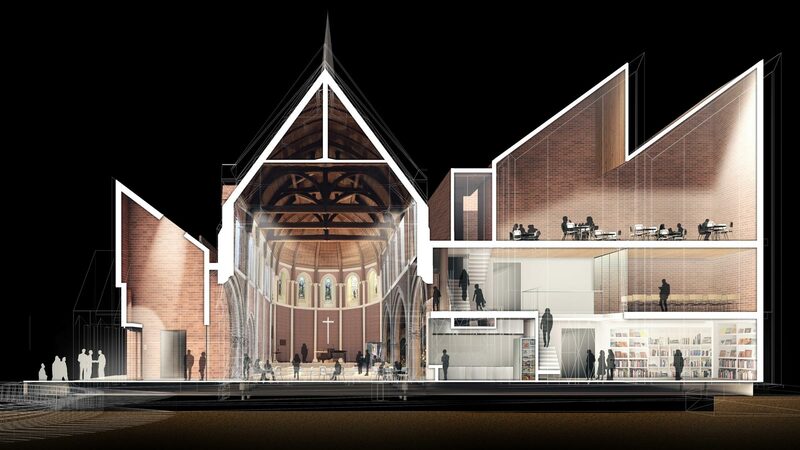 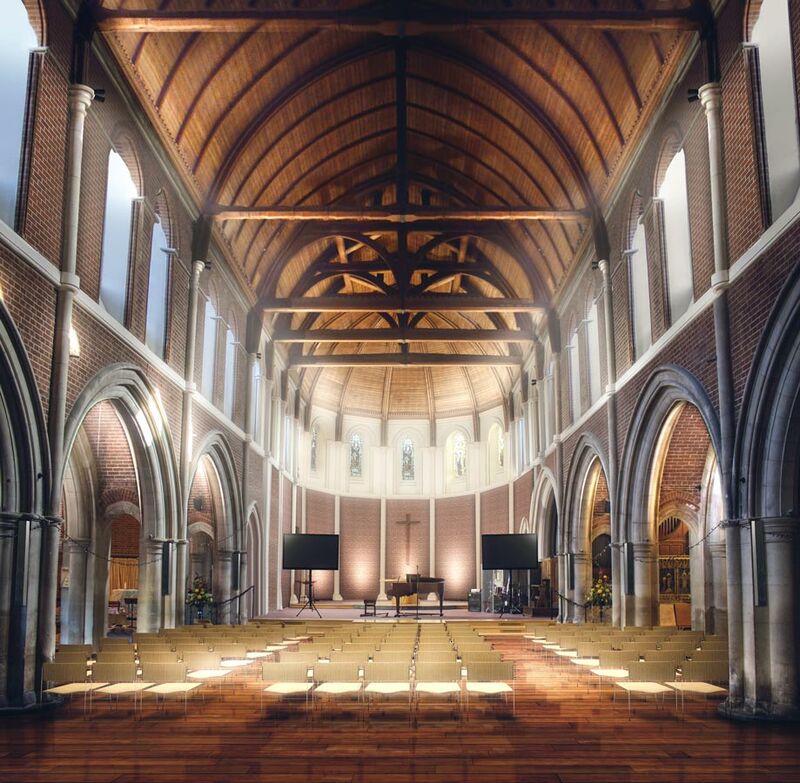 Our design approach establishes a series of contemporary extensions to make clear distinctions between the various functions of the mission – including the church, a café, bookshop, youth centre and conference facility – while establishing a striking form which complements the listed red brick church. 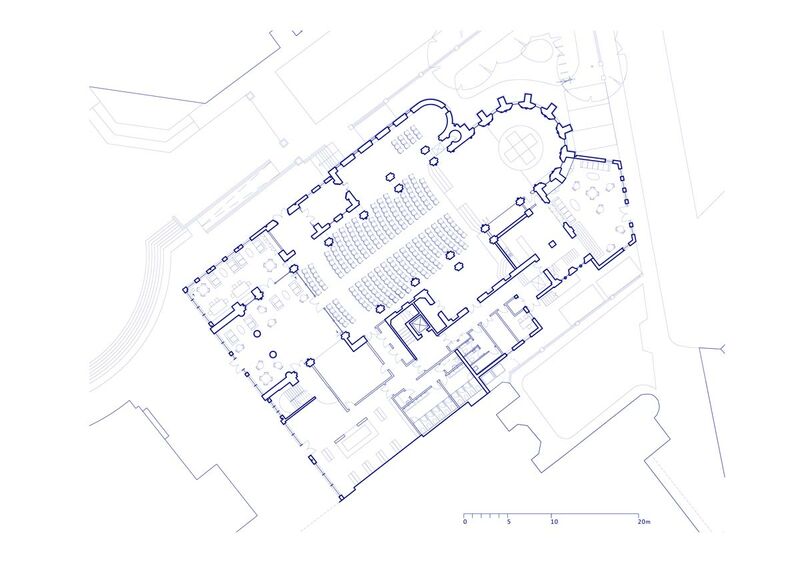 Internally, a thorough audit of functions within the space has resulted in more legible routes through the building and flexible spaces which are simpler to manage and maintain. 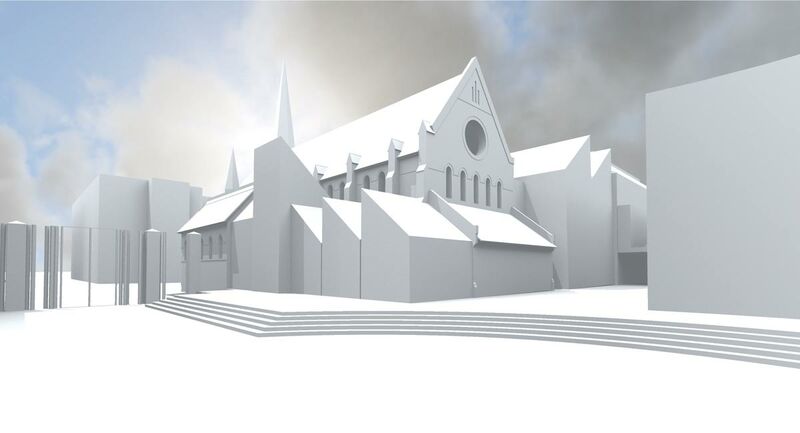 Won following a three-stage design competition, the scheme is currently being developed through consultation with the church and its stakeholders, to be submitted for planning in 2018.